Shooting pain in the neck is a common patient complaint describing sharp, linear pain signals most often traveling downwards, but occasionally traveling horizontally across the span of the neck. Shooting pains can be terrifying, since they feel electrical in nature and therefore are often interpreted as evidence of neurological involvement. 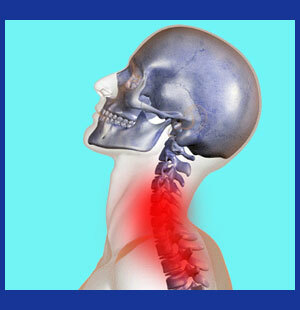 Shooting symptoms are generally considered common expressions of acute neck pain. In chronic neck problems, pain is rarely described as shooting, but this is certainly not an absolute rule. Linear patterns of pain usually travel downwards, often originating at the base of the skull or at some particularly sensitive location in the neck itself. However, some patients also report similar shooting expressions traversing horizontally across the neck, unilaterally or bilaterally, sometimes spanning from the ear to the spine and other times heading the opposite direction from the center of the neck towards the side. This descriptive essay investigates the incidence of shooting pain in the neck and what it means to affected patients. Shooting pain often feels neurological in nature and might actually be a result of nerve interaction. However, shooting pain can also occur from muscular concerns, especially in locations where muscular tissues interact with one another or with their attaching structures. Shooting pains that traverse from the neck to the shoulder, arms or hands may indicate involvement of particular nerve roots, but other explanations can also be valid. It is never wise for patients or caregivers to assume that a compressive neuropathy exists just because pain radiates into a limb. Shooting pain from the base of the skull might actually be a type of tension headache expression that may precede the actual headache or might occur at any time during the head pain condition. Horizontally shooting pain rarely occurs due to neurological causation and usually indicates injury to a muscular tissue in the neck. Virtually any of the most common causes of neck pain can create shooting symptoms in particular scenarios, either directly or indirectly. Remember that the anatomical components of the back and spine are all inter-related and if one suffers injury, degeneration or some other painful process, the entire region might be affected. 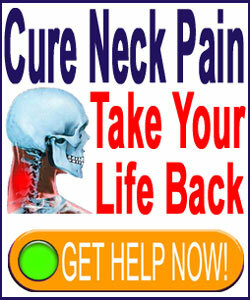 Muscular strain is certainly the most prevalent cause of acute shooting pain down the neck. This is most commonly experienced off-center, unilaterally, and typically extends into the shoulder or upper back. Turning the head might be difficult, especially to one side and the use of one arm might elicit pain, as well. Spinal causation of shooting pain is rare, but may be present in acute instances of nerve root compression, before the nerve begins to lose its signaling ability. However, in cases of long-lasting shooting discomfort, the likelihood of a pinched nerve being the origin are reduced sharply, since time will almost always cause impinged nerves to stop signaling pain. Shooting pain might be caused by particular motions, including use of the arm on the same side. The underlying causation of these pain syndromes, barring injury, might include atypical spinal curvature, local musculoskeletal problem or widespread muscular pain process, such as FMS. Statistically, shooting pain is usually one of the shortest-lived of all neck pain symptoms. Usually, these types of pains occur in relation to an acute injury of known origin. They often resolve in a day or two and few cases last more than a week. Chronic versions of shooting pain are more complicated to evaluate and are often structurally illogical, calling to mind the very real possibility of psychogenic causation. Many mindbody pain syndromes use frightening symptoms, such as shooting pain, to capture and hold the attention of affected persons around the clock. This is the reason why they are so effective at concealing the underlying emotional sensitivities that create the torturous conditions. To learn more about shooting neck symptoms, and how they should be treated, please talk to your doctor or physical therapist.